Yesterday, voters in four states considered ballot measures to hike state tobacco taxes, including on handmade cigars. Voters in North Dakota, Colorado, and Missouri appear rejected the proposed tax hikes, while it California tax increase is passed. North Dakota’s Initiated Measure 4 would increase the tax on cigarettes 400% from 44 cents per pack to $2.20. All other tobacco products, including cigars, e-cigarettes, and vaping products, would see state taxes double from 28% of the wholesale purchase price to 56%. In Colorado, anti-tobacco forces are trying to alter the state constitution to include triple taxes on tobacco products. The amendment would increase the tobacco tax by $1.75 per pack of 20 cigarettes, from 84 cents to $2.59, and jack up taxes on other tobacco products, including cigars, by 22% of the wholesale list price (on top of the existing 40% tax already in effect). Missouri’s Proposition A would more than double taxes on cigarettes from 17 cents per pack to 40 cents, with the increase being phased in through 2021. 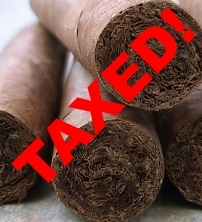 Taxes on other tobacco products, including cigars, would increase by 5% of the manufacturer’s invoice price to 15%. Missouri voters are also rejecting Amendment 3, which would hike tobacco taxes 400% from 17 cents to 77 cents, with extra fees being applied to companies not subject to the master agreement settlement with the state. Anti-tobacco forces in California proposed to increase cigarette taxes $2 per pack, from 87 cents to $2.87. Other tobacco products, a tax category that includes cigars, would face a corresponding 230% increase in a state that already has record-high taxes. The presidential result and Republican control of the House and (likely) Senate also have important implications for cigar smokers when it comes to FDA regulation, taxes, trade, and Cuban policy. More on that in the coming days. With Election Day less than one week away, all eyes are on the presidential race and, to a lesser extent, which party will control the House and Senate next year. But voters in four states will also be weighing in on ballot questions that, if passed, would hike tax rates on tobacco products, including cigars. North Dakota’s Initiated Measure 4 would increase the tax on cigarettes 400% from 44 cents per pack to $2.20. All other tobacco products, including cigars, e-cigarettes, and vaping products, would see state taxes double from 28% of the wholesale purchase price to 56%. Although proponents say the money will be spent on smoking cessation, opponents point out that the measure contains “nine pages of print that only detail four sentences as to how and where this money will be spent,” leading to wide discretion for bureaucrats and politicians to potentially spend the money on pet projects. In Colorado, anti-tobacco forces are trying to alter the state constitution to include triple taxes on tobacco products. The amendment would increase the tobacco tax by $1.75 per pack of 20 cigarettes, from 84 cents to $2.59, and jack up taxes on other tobacco products, including cigars, by 22% of the wholesale list price, on top of the existing 40% tax already in effect. Those against the amendment note that the tax would disproportionately impact low-income people, and that because the revenue would be earmarked in the constitutional ammendment, it couldn’t be directed to government programs where it might be put to better use. Missouri’s Proposition A would more than double taxes on cigarettes from 17 cents per pack to 40 cents, with the increase being phased in through 2021. Taxes on OTP, including cigars, would increase by 5% of the manufacturer’s invoice price to 15%. 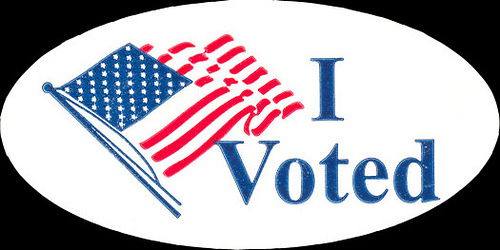 In part because the proposition would automatically repeal the additional taxes if a measure to increase any tax or fee on cigarettes or other tobacco products is certified to appear on any local or statewide ballot, many of the anti-tobacco forces that usually back higher taxes on tobacco actually oppose Proposition A as an impediment to even higher taxes later. Missouri voters will also vote on Amendment 3, which would hike tobacco taxes 400% from 17 cents to 77 cents, with extra fees being applied to companies not subject to the master agreement settlement with the state. Because it does not impact cigar taxes, many cigar-oriented trade groups, like the International Premium Cigar and Pipe Retailers Association (IPCPR), don’t take a position on Amendment 3. Under Missouri law, if both Amendment 3 and Proposition A pass, the one that passes with the higher percentage takes effect. As you’d expect, groups like Cigar Rights of America (CRA) and the IPCPR oppose all four ballot questions that would add additional taxes to cigars, which (between state and federal taxes) are already taxed at record-high levels. Opponents of such tobacco taxes point out that they are highly regressive (by impacting those who can least afford them the most) while threatening to put cigar shops out of business, and that if additional revenue is needed a fairer approach would be a broad-based, more evenly-distributed tax instead of one that hits an already targeted minority. Cigar smokers in California, North Dakota, Colorado, and Missouri should exercise their right to vote NO on Tuesday to prevent further punitive taxes on cigars. Food and Drug Administration (FDA) regulations covering the cigar industry don’t take effect until August, but the impact on cigars is already apparent. The regulations, which have already prompted two lawsuits against the agency (a long-planned lawsuit by the CRA, IPCPR, and CAA was filed last week), threaten to stifle the introduction of new cigars, plus the continued sale of any cigar introduced after February 15, 2007. With the annual IPCPR Trade Show set to start next week, cigar makers are already announcing new cigars at a record pace, with plenty more expected next week. The reason is clear, as cigars introduced after August 8 will have to wait for FDA pre-approval before being marketed or sold in the United States, while those on the market before that date can be sold for two years without needing pre-approval. Exact details of the pre-approval process are still unknown, which only fuels the urgency of getting new products to market. Most industry sources hope cigars will be approved as “substantially equivalent” to a product on the market prior to the February 2007 date, but even that standard may be difficult and costly to establish. According to the FDA’s final rule, the agency estimates it will take 300 hours for each Substantial Equivalence (SE) report, which works out to two months of time for one full-time employee. Industry sources believe the cost of each SE report would likely be even greater than the FDA’s estimate, possibly $100,000 or more. Those estimates are per SE report, and the FDA requires pre-approval for every tobacco product. This would likely include every new cigar size and packaging combination. For example, if a cigar is sold in 10-count and 20-count boxes, each would need a separate approval. Presumably, so would samplers created by the manufacturer, and potentially even samplers created and sold by retailers. Needless to say, those costs are prohibitive for small cigar brands for whom a large volume vitola may only sell tens of thousands of units in a year. By introducing lines now ahead of the August 8 deadline, those small manufacturers buy themselves 18 months before they have to decide whether to submit them to the FDA for approval. By then, cigar makers will have a better picture of the costs and requirements of achieving FDA approval, so they can decide if seeking approval makes economic sense, or if they will be forced to withdraw cigars from the market by August 2018 (after which cigars introduced after February 2007 can no longer be sold unless they have begun seeking FDA approval). Unfortunately, this means many of the new cigars being rushed out before the deadline are living on borrowed time. While the results of the lawsuits could change the FDA regulations, such lawsuits are always difficult to win. In the meantime, while there will be a lot of excitement over the next two weeks as numerous cigars are announced, the devastating effects of FDA regulation on the handmade cigar market are already showing. These seem to sum up the feelings of some of the smaller players in the cigar world. Small players whose business will be greatly impacted by the U.S. Food and Drug Administration’s new tobacco regulations. In statements both on and off the record, those who create and market boutique cigar expressed both anger and resolve to StogieGuys.com. While some were reluctant to openly discuss the potential impact or their plans, others were blunt. The economic impact will be widespread, she added, ticking off those impacted, from tobacco growers to box makers, cigar band lithographers to glue manufacturers. Mel Shah realizes his MBombay cigars will also face the full thrust of the regulations because they came to market only a couple years ago. Just what the FDA’s approval process will be, or how much it will cost, however, remains uncertain. Shah’s position as owner of both a cigar brand and a cigar shop (Fame Wine & Cigar Lounge in Palm Springs, California) provides a well-rounded perspective. As a measure of what lies ahead, he noted that about 70 percent of the cigars on retailers’ shelves these days were introduced after 2007. The FDA regulations, scheduled to go into effect this summer, offer a small window for cigars that aren’t grandfathered. Those on the market before Aug. 8 can remain on sale until Aug. 8, 2018, before having to apply for approval. That’s led to conjecture that brand owners will rush cigars to market in order to take advantage. But Haugen, and others, said that’s not their plan. One point of agreement was that, while it’s too soon to know the full impact, they will survive. There is no getting around the fact that the final FDA rule released last week is a nightmare for premium handmade cigars. Although premium cigars represent just 2.1% percent of all cigars smoked in the United States (according to the FDA, 300 million of the 14 billion total cigars sold), the vibrant creativity that has come to represent this small handmade portion of the cigar market will be hit with the overwhelming burden of complying with rules that require FDA approval for every cigar not on the market before February 15, 2007. Within each brand, every size of that blend that was introduced after that date will have to apply for FDA approval, or be off the market, by August 2018. So literally thousands of blends would have to apply, something no one (including the FDA) expects to happen. In its public statements regarding the rule and within the 499-page rule itself, the FDA repeatedly alludes to the need to regulate cigars to protect children. But a closer look shows the facts don’t support the claim. In fact, at least one of the statements the FDA told the public about this is demonstrably false. This claim struck me as odd, at least in respect to cigars, so I asked an FDA spokesman for clarification. Despite multiple emails back and forth, I never got a substantive answer to my question: Does the FDA know of anywhere in the U.S. where the sale of cigars to minors (under 18) was not already illegal? At one point in the exchange, I was referred to the “CDC [Center for Disease Control] or a group like the Campaign for Tobacco-Free Kids,” which seemed strange given that the FDA had just designated itself the chief regulator of cigars. Despite that, I asked both groups that the FDA referred me to. The Campaign for Tobacco-Free Kids confirmed that every state prohibits sales to minors (and that Alabama currently also prohibits sales to those age 19). The CDC spokesman made it even more clear that the FDA was wrong in its announcement that prior to these rules federal law did not prohibit sales of cigars to minors. In other words, the federal agency that the FDA referred me to directly contradicted the statement put out by the FDA. Of course, by then the FDA’s misstatement had already been repeated in numerous news accounts of the new regulation. But the FDA’s deception on this issue doesn’t end there. Within the rules, especially in the justification for not exempting premium cigars, the FDA repeatedly conflates underage use of cigars with choices made by adults. So while the FDA is using the age-old justification that their rules are necessary “for the children,” the fact is they are citing studies about the choices made by 29-year-old adults, men and women who could have legally served in the U.S. military for over a decade, to do it. Further, in the FDA’s announcement, a quote from Health and Human Services Secretary Sylvia Burwell specifically states that the aim of the rule goes far beyond children: “Today’s announcement is an important step in the fight for a tobacco-free generation.” So if anyone had any doubts that the FDA wants to totally eliminate tobacco, that statement by a cabinet-level appointee should erase them. The irony is, even if the new rules were actually designed just to restrict use by minors, the grandfather date set by the legislation that empowered the FDA to regulate cigars means that, barring a sweeping act from Congress, there will always be pre-2007, non-FDA regulated tobacco products out there for lawbreaking minors to find ways to illegally acquire. Better enforcement of laws already on the books might fix that, but the regulations announced last week won’t. Meanwhile, thousands of premium handmade cigars will be wiped off the market in just over two years, serving no purpose except to restrict the choices available to the adults who choose to enjoy them. If you read StogieGuys.com regularly, you’re aware of the danger the seemingly imminent FDA regulation of cigars poses. While we’re proud to have covered this issue in more depth and longer than any other media outlet, the FDA is hardly the only threat cigars face. Taxes and smoking bans are two other prominent attacks on cigar rights, but even adding those doesn’t encompass the full scale of the multi-front attack on cigar freedom. To that end, here are three under-the-radar attacks on the freedom to smoke cigars. Last year, FedEx announced they would no longer be allowing cigars to be shipped as of the beginning of 2016. The company cited the “complex regulatory environment” as part of the reason for its decision to cease shipments. Although consumers are unlikely to notice the change since FedEx had been used mostly by manufacturers and distributors to ship cigars to retailers, the change is part of a larger trend that is cutting off legal business from using the necessary tools of commerce. The same “regulatory environment” that led FedEx to stop shipments is likely to spread with UPS being the next likely target. FedEx faced a massive lawsuit from the state of New York for shipping untaxed cigarettes into the state, even though the company has no way of knowing the contents of the millions of packages it transports every day. UPS is currently facing a similar lawsuit. We’ve heard UPS has attempted to refuse to open accounts with new cigar businesses. While so far these are isolated incidents, if the shipment of cigars were left solely to the hands of the United States Postal Service, it would drive up the cost of business, not to mention leave legal cigar shipments entirely in the hands of a federal bureaucracy influenced more by the whims of politics than the motivation to satisfy customer’s needs. Starting in 2013, the Department of Justice began an initiative called Operation Choke Point with the goal of cutting off financial services to “high-risk businesses” for fraud. But critics have said Choke Point has been used to target many legal businesses deemed undesirable by the current administration, which includes tobacco retailers. Multiple cigar retailers have already been dropped by their credit card processors or banks, according to the International Premium Cigar & Pipe Retailers Association (IPCPR). And a Department of Justice list, since taken down from its website, lists “tobacco sales” as one of the targeted businesses. Running a business without access to reputable banking and credit card services is impossible in today’s environment. Already, cigar retailers have had longstanding relationships severed, the effect of which is a hidden tax that drives up the cost of transactions involving completely legal cigar purchases. On Monday, multiple cigar groups on Facebook were shut down. The move was the result of sweeping action by Facebook that shuttered numerous private groups involving cigars, beer, whiskey, and other alcohol. Facebook is a private company and can allow or ban whatever it wants. But it isn’t a stretch to suspect something more is behind the move, especially considering there are any number of ugly and hateful things posted by users on the social media giant’s platform. In many of those cigar and booze groups, sales and trades were taking place. 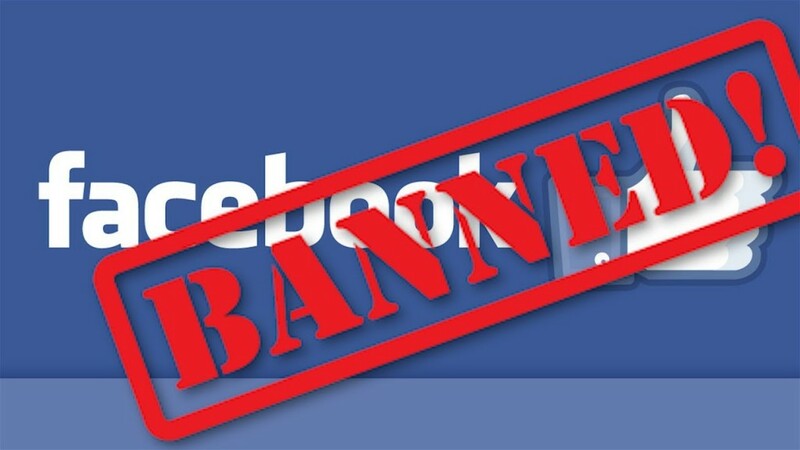 Facebook’s terms of service note that activity involving tobacco and alcohol must be age-restricted and specific users are responsible for following all applicable laws. Even though surely many transactions were initiated in these groups that weren’t in full compliance with the law, the response wasn’t to ban specific users but to eliminate entire groups with thousands of users. Federal law generally protects internet companies from being held responsible for the postings of its users (otherwise Facebook, Twitter, or even any blog with a large number of comments could be sued out of existence). But likely either in anticipation of, or in direct response to, threats that it would be held responsible by authorities for any such activities, Facebook simply eliminated targeted groups.